Rehoming a cat is rarely easy. I know this from personal experience. I’ve been finding homes for cats who come to my rescue group’s shelter for nearly 15 years. Some cats are with us for years before they get adopted. Others find their forever families so quickly, we barely get to know them. We’ve decided it all comes down to luck. Or maybe it’s the cat’s ability to send out “adopt me” vibes to its forever family, wherever that family happens to be. If you need to rehome your cat, please be patient. Finding a new home for a cat can take weeks or even months. But if you’re persistent and don’t give up, it can be done. 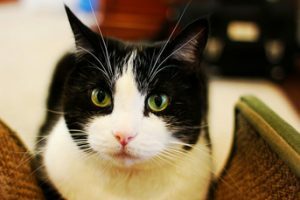 Here are some tips for rehoming a cat with the least amount of stress for both the cat and you. 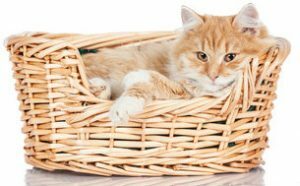 Finding a new home for your cat is as much about his needs as yours. If you make the wrong match, he could be returned to you or, even worse, his new family could take him to a shelter where he’ll be killed. Try to visualize his idea of the perfect home where he’ll be happy and successful, and include his requirements, as well as yours, in your ads. Don’t declaw the cat to make him more “marketable.” Cats with claws are just as adoptable as cats without, and declawing could cause many problems for the cat and his future family. If your cat is indoor/outdoor now, don’t put him in a “strictly indoor” home. He’ll be miserable, and putting an indoor/outdoor cat in a strictly indoor home often causes behavior problems. Trust me… there are lots of adopters for indoor/outdoor and even completely outdoor cats. Keep lifelong friends or litter mates together. Many people are willing and eager to adopt two bonded adults. And the cats will grieve for each other if separated, making the adjustment to a new home even more difficult and painful. Behavior issues are never a good reason to rehome a cat. You’re just passing your problems along to someone else. If you feel that you have no choice, be honest with potential adopters and suggest ways they can avoid the problem. He needs to be an only cat, for instance, or he wants more access to the outdoors than you can provide. Fliers in coffee shops, veterinarians’ offices and pet supply stores; newspaper classified sections; PetFinder.com and, yes, Craig’s List, are all good ways to spread the word about your cat. If your cat’s a purebred, try Rescueme.org. Contact local rescue groups, too. Some might give you a courtesy listing on their websites or post your cat on their Facebook pages. In your ads explain why you’re rehoming the cat. Describe his personality, his likes and dislikes, and the kind of home that would be perfect for him. Be honest about any behavior or medical issues. 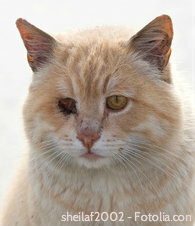 Many people are willing to adopt a senior cat or a cat with a chronic health problem, like diabetes. Have potential adopters come to your home to meet the cat, but deliver him to his new home yourself. If the place doesn’t look or feel right, leave with the cat. Trust your cat’s instincts and judgment. He’ll let you know whether he’s afraid of the people and if he wants to live with them. Have the adopter sign a contract. The contract should include instructions on what to do with the cat if things don’t work out. You don’t know what to say in the contract? Feel free to use the Howard County Cat Club’s application as a script when talking to prospective adopters and our contract as an example for the one you’re going to write. Saying goodbye is never easy, but try to be upbeat and positive when you deliver your cat to his new home. He’ll pick up on your thoughts and be less stressed and anxious about what’s happening to him. Be sure to take an unwashed towel or pillowcase. The familiar scents of home will be comforting to him. Also take some of the food he’s been eating and his dishes. Cats in strange surroundings eat better if they have their familiar dishes and bowls. He’ll need his favorite toys and cat bed, too, and don’t forget his medical records. Okay, so you’ve already ruled out taking your cat to a kill shelter. Thank goodness that option’s off the table. But don’t assume a no-kill rescue will be able to come to your rescue, at least not right away. The only way no-kill shelters can make room for new cats is through adoptions. And shelter life can be very hard on older cats and cats who have always lived in the same home. Your cat will be much more adoptable if he can stay with you until his new family comes along. If you do give your cat to a no-kill rescue, find out how the cats live. Are they in foster homes? Do they live in cages? If the cats are in foster homes, how many cats are in each home? Also ask how the rescue is funded and what it does with cats who get sick. Does the group ever transfer cats to kill shelters, and under what circumstances? Before rehoming a cat, please try to find a way for the two of you to stay together. Going to a new home is always traumatic for a cat, and cats grieve for lost human and cat and dog friends. With help and some research, there are solutions to behavior problems and even allergies. It’s also possible to find cat-friendly housing when you move if you’re determined enough and are willing to negotiate and be firm with your new landlord. Sometimes rehoming a cat is unavoidable and in the cat’s best interest. But most often, it’s best to compromise and work out your differences so the cat can stay right where he is… with you.